Two Seattle-area dads are working to raise enough money to pay off school lunch debt in the state of Washington after one previously eliminated debt in three of the state’s largest school districts. 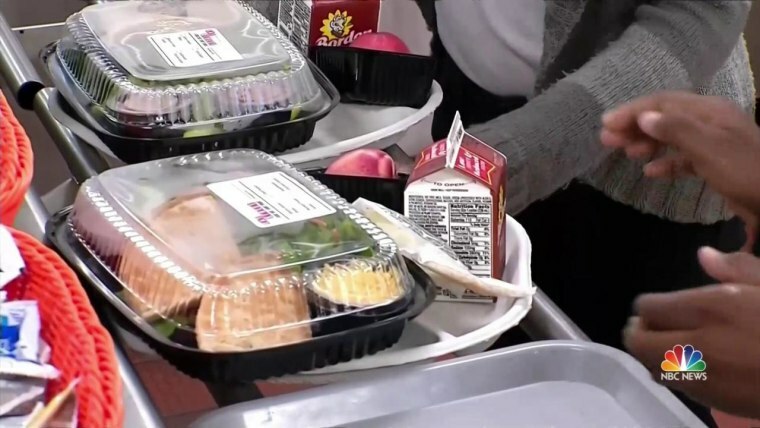 Jeffrey Lew began working to eliminate lunch debt in May after reading a news article about “school lunch shaming,” where students who don’t have enough money to pay for lunch are denied food, singled-out with stamps or wrist bands, or given an alternate meal. He raised funds to erase the $97.10 lunch debt at his son’s school, then expanded his efforts to the Seattle Public Schools district and four other school districts in Washington. In total, Lew has raised more than $100,000 from donors including singer John Legend and the Seattle Seahawks Charitable Foundation, he said. Three of his first five campaigns successfully eliminated lunch debt in their districts. Lew's new goal, which he announced last week, is to raise $650,000 to cover all outstanding school lunch debt in Washington, though he is still waiting to hear from several school districts about their total lunch debt, he noted. Lew will be working with another dad — Stephen Medawar — and the nonprofit World Impact Network (WIN). Medawar will work on partnerships and strategy for the campaign and on LunchDebt.org — a website the pair created to educate people about lunch debt — while the nonprofit will distribute the funds, Lew said. The campaign is expected to benefit approximately 300 school districts across Washington. Peter Van Breda, president of WIN, told NBC News that the organization partnered with Lew because its members believe in his cause. “I think it’s an amazing that a young man comes up with something like this and follows through like this … and I just hope and pray we get to the $650,000 we need for the whole state,” he said. Despite the larger amount he’s looking to raise, Lew is optimistic. The campaign is expected to run indefinitely to ensure the goal is met, Lew said. Since it launched on Friday, it has raised more than $14,700. In the United States, 76 percent of school districts have outstanding student lunch debt, according to a 2016 School Nutrition Association survey. Lew said he was inspired to take on the entire state because of the need he saw during his previous campaigns. People had contacted him asking if he could cover lunch debt in other districts, he said. Chris Reykdal, the Washington state superintendent of public instruction, said he applauded the fathers' work and that new practices should be developed to ensure students received adequate nutrition. "Our state needs a long-term sustainable effort that better identifies financially vulnerable families to ensure kids get quality breakfast and lunch in the school," Reykdal said in an email to NBC News. "The effort needs to go beyond existing practices to better ensure that high-school age students remain eligible and engaged in the program. Student achievement is absolutely correlated to quality calories. Let's create a more sustainable program for Washington's vulnerable students." Lew hopes his efforts will increase awareness about school lunch debt across the country and inspire others to start their own fundraisers. He noted that others have created their own campaigns, including a 6-year-old girl in Idaho and her mom who started a lemonade stand and a crowdfunding page, a friend of Lew's who launched and successfully completed a campaign to erase the lunch debt at the Everett School District in Washington, and a Portland man who started a campaign to eliminate lunch debt at the Portland Public Schools district while undergoing cancer treatment. Lew added that his end goal is to permanently end lunch debt and lunch shaming, and he is ultimately fighting for universal school lunches. “If students are already going to school and its funded for them to go to school, why not have the lunches included?” he said.